Specialising in scaffolding and temporary works designs - Swanley, Kent. Providing well planned, unique design solutions for all types of access problems. Why use Tubular Techniques Ltd? 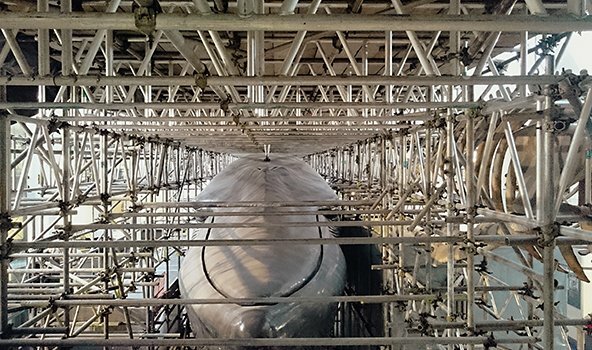 With over 30 years design experience within the scaffolding and temporary works sector, there is very little that we haven't been involved with over the years - from bridges over the River Thames, film set structures, naval ships in dry docks to one of our latest innovative design at the Tate Modern project. With a vast array of experiences not only on scaffolding design but in formwork design and temporary support works as well. Both of our chartered engineers have wide experience in working with all materials and construction types giving us a good understanding for the construction process, allowing us to integrate our unique scaffolding or temporary works solutions with the method of construction your contractors want to adopt. The way companies interact with one another is certainly one of the most important things in doing business. It is not always about reputations but about personalities and how well you maintain a good relationship with your customer. 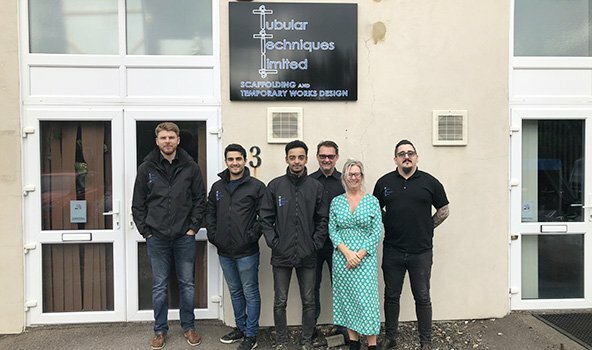 Here at Tubular Techniques we pride ourselves on being friendly and approachable, adaptable to the clients needs and wherever possible working with them to utilise the skills and equipment that they already have. We endeavour to keep our clients informed throughout the design process. We will provide initial designs to ensure that we ourselves have understood all of the requirements and maintain contact through to the final design which will incorporate any amendments and changes to the scheme that may be required. Above all in todays market timing is everything. We try our utmost to work to the deadlines of our clients and provide realistic time scales for design turnaround periods. This also means keeping our customers up to date should there be any changes to the agreed schedules. Having the right information to hand at all times is crucial and delays must be notified as soon as they occur so that disruption to the projects can be reduced to a minimum. The company specializes in providing scaffolding and temporary works for all types of structures.